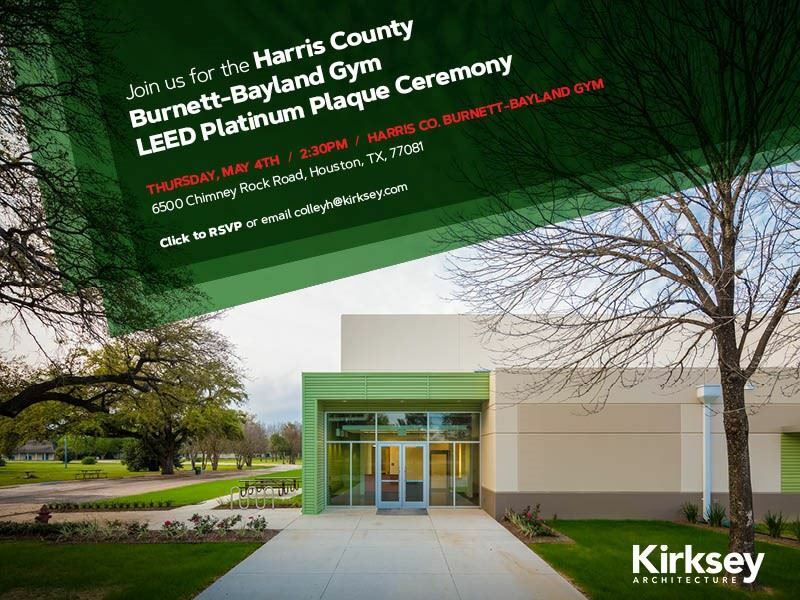 You are invited to join USGBC Gulf Coast Regional Council, Harris County and Kirksey Architecture, to celebrate the achievement of LEED Platinum for the Harris County Burnett-Bayland Gym. A tour of the building and its sustainable features will be given after the ceremony, and photo opportunities will be available. Snacks will be provided by event sponsors Griesenbeck Architectural Products, Inc. and Texas Solar Outfitters.